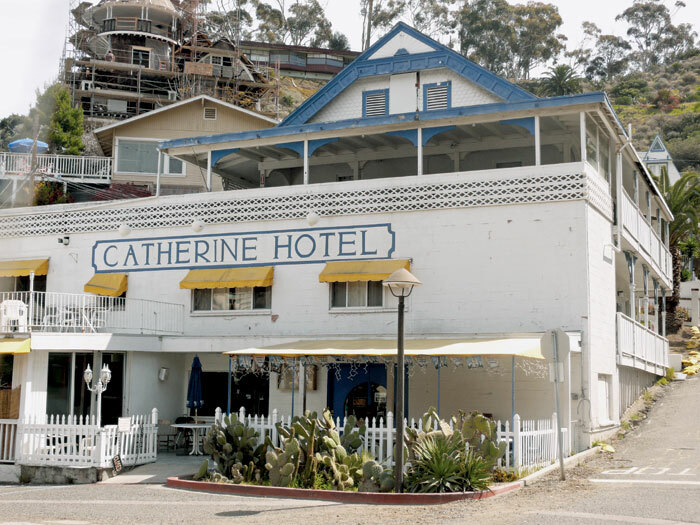 AVALON – After purchasing the Catherine Hotel earlier this year, the Catalina Conservancy – in charge of preserving nearly 88 percent of the island – has decided to raze the 100-year-old structure to make way for a new visitors service center. Located on Crescent Avenue along Avalon Harbor’s waterfront, the Catherine Hotel was known as the “first hotel off the ferry” and the “cheapest place to stay with the coldest beer.” The conservancy had originally planned to refurbish the 1911-built structure as their new visitors service headquarters, but after a full inspection of the site, the decision was announced Aug. 28 to demolish the hotel and build a new structure at the site. According to conservancy spokesman Bob Rhein, the structure is expected to be taken down this fall, with the exact timeline to be determined. “After a full inspection of the building and property, consultation with various contractors, and a full financial analysis, staff recommended and the conservancy’s board of directors concurred that it would not be cost effective or otherwise desirable to refurbish the existing structure,” said conservancy president Ann Muscat in a statement. Rhein declined to comment on when or if the demolition and construction project along Avalon’s waterfront would be reviewed by the city council or the California Coastal Commission, but building permits will be required for the new structure. The conservancy’s current headquarters are located along Clarissa Avenue, off Avalon’s main street, Crescent Avenue. The new headquarters will give the conservancy a more visible and easily accessible facility for visitors to find information on the conservancy’s tours and exhibits. The project to rebuild will be undertaken in two phases. During Phase 1, the Catherine Hotel will be torn down, and modular structures placed as an interim home for the conservancy’s visitor-serving operations. Options for the modular structures are currently being explored, all of which are “ecologically sensitive and consistent with the conservancy’s mission,” according to Natalie Hazard, the conservancy’s manager of capital projects. “The timeline for construction of the Phase 1 structures depends on design, permitting and other factors,” she said. Construction of a new building will be undertaken in Phase 2, after a period of fundraising and design. The purchase of the Catherine Hotel came following an anonymous seven-figure donation made to the conservancy. The hotel was listed on Luxury Real Estate magazine’s website for sale at $5.695 million. Mel Dinkel, the conservancy’s chief operating officer who overseas visitor services, noted that the size and configuration of the old conservancy visitor center made it challenging to properly serve visitors, but the new site should alleviate the situation. “Currently, conservancy staff provide general information about the island and camping information; issue hiking permits, biking memberships, stage Jeep Eco Tours and run a small retail operation in a footprint of less than 200 square feet while welcoming more than 20,000 visitors to the building annually,” he said.